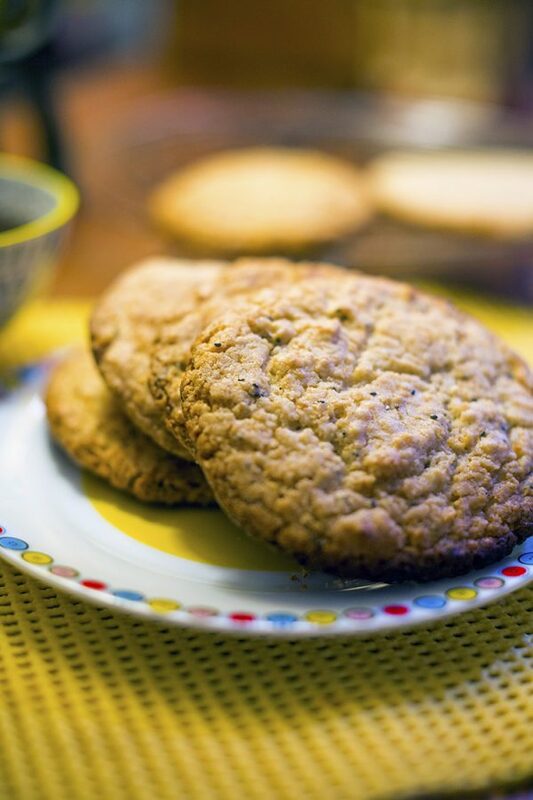 Tempting crispy cookies with chia seeds. Gather all ingredients and preheat oven. Mix together the dry ingredients (wheat flour, baking soda, salt, shredded coconut, cinnamon and chia seeds) except sugar. In a separate bowl, mix the wet ingredients (olive oil, vanilla extract, water) and sugar. Make a well in the center of the dry mix and pour in the liquid mix. Mix well. Roll dough into small balls and then flatten to form the cookies and place them on a baking tray covered in parchment paper (baking paper). Bake at 350 °F / 175 °C for 8–10 minutes or until edges have become golden brown. Transfer cookies onto a cooling rack and enjoy with a cup of tea!